My dad likes calves liver a lot, my mom and brother like it some, I can't stand it. The only way we've ever cooked it is liver and onions. 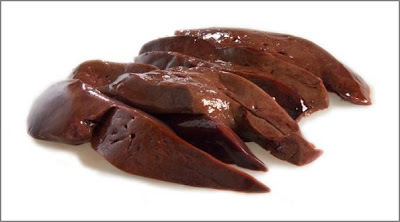 Chicken liver, on the other hand, is one of my favorite foods. About every 2 or 3 weeks, we'll have fried chicken liver for dinner. If I go get fast food (only if I'm really in a rush) I tend to go to Danny's or Popeye's Fried Chicken and get livers. Not nearly as good as at home, but still delicious. Have you tried it with BBQ sauce that ia my favorite w/valdia onions. I also like chicken gizards any way you fix them but especially w/yellow rice added diced bell peppers and onions of course.